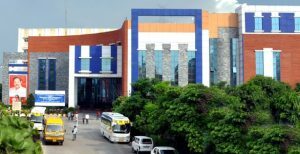 SRM Institute of Science and Technology, or Sri Ramaswamy Memorial Institute of Science and Technology, formerly SRM University, is a deemed university located in Chennai, Tamil Nadu, India. It was founded in 1985 as SRM Engineering College in Kattankulathur, under University of Madras. It has 8 campuses, 4 in Tamil Nadu — Kattankulathur, Ramapuram, Vadapalani, Tiruchchirappalli and others in Delhi NCR, Sonepat, Gangtok and Amaravati. The institute gained deemed status during the 2003-2004 academic year and was renamed SRM Institute of Science and Technology. 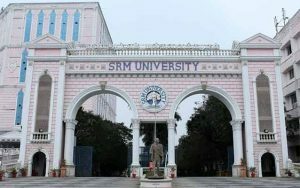 It became SRM University in 2006 following the permission by the UGC for Deemed to be Universities to be called as Universities. In 2017 it was renamed back as SRM Institute of Science and Technology following the UGC request to drop the “University” from the name. SRM Institute of Science and Technology is approved by the University Grants Commission and is accredited by the National Assessment and Accreditation Council (NAAC). It has been given an overall A Grade by NAAC. 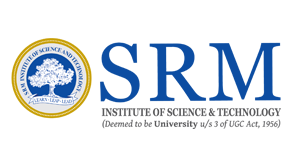 Some programs in SRM Institute of Science and Technology are accredited by Accreditation Board for Engineering and Technology. Located about 35 km away from the city of Chennai, this campus is situated on a 250-acre site overlooking Grand Southern Trunk Road(GST Road), NH-45. The main campus at Kattankulathur consists of a College of Engineering and Technology, College of Medicine and Health Sciences, College of Science and Humanities and a School of Management. The Ramapuram Campus of SRM Institute of Science and Technology is located at Ramapuram, Chennai. It houses three colleges, the Faculty of Engineering and Technology, SRM Dental College, and Easwari Engineering College. The campus also offers Bachelor of Architecture, MBA and Master of Technology courses. Vadapalani Campus is located in the center of Chennai city. This campus houses the Faculty of Engineering and Technology, Faculty of Management Sciences, Faculty of MCA. 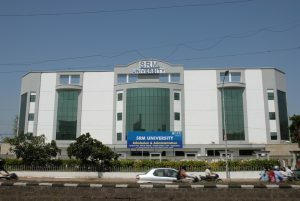 The SRM Institute for Medical Sciences is also located within the campus. The 25-acre campus at Modinagar on Delhi-Meerut highway houses the faculties of Engineering & Technology, Management and Teacher Education. SRM University, AP – Amaravati is a multi-stream research university with focus on diverse fields. 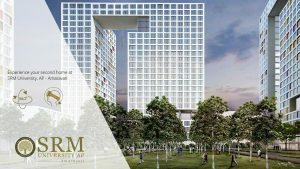 It is at the heart of the new Amaravati City of Knowledge, a modern, vibrant metropolis within the Indian state of Andhra Pradesh. From engineering to medicine and from liberal arts to management, SRM’s vision is to emerge as a world-class university that is globally connected, nationally relevant, and regionally transformative. It has the ambitious plan to be in the top world class universities in ten years with 20000 + students and 1500 faculty members.For the establishment of this university, SRM has partnered with the world’s best names for educational method and philosophy, campus design and infrastructure, learning and living spaces, and recruitment of faculty and leadership. Perkins + Will, American architects who have designed some of the leading universities in the world, are the architects for this new institution. Perrett Laver and Society, global search firms from UK, are involved in the recruitment of senior leadership roles and faculty. 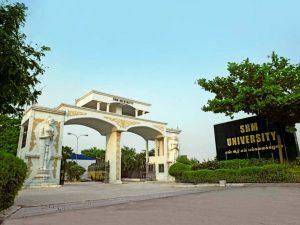 The QS World University Rankings ranked SRM Institute of Science and Technology 351-400 in Asia in 2018.